The Patiala House Court had reserved the order until January 29, Tuesday on whether to summon Priya Ramani as an accused in former Union Minister MJ Akbar’s defamation case. 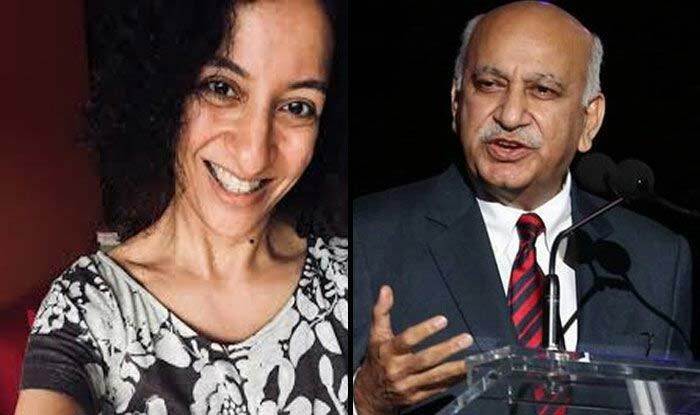 New Delhi: Delhi’s Patiala House Court on Tuesday issued summons to journalist Priya Ramani as an accused in connection with MJ Akbar’s defamation case. The court has asked her to appear on February 25, which happens to be the next date of hearing. Earlier on January 22, the Patiala House Court had reserved the order until January 29 on whether to summon Priya Ramani as an accused in former Union Minister MJ Akbar’s defamation case. On October 8, Ramani first named the editor-turned politician in a Twitter post. Hence, MJ Akbar resigned as a Union Minister on October 17, 2018. Akbar’s name had cropped up on the social media when he was in Nigeria last year, as the #MeToo campaign raged on in India. Several women came out with accounts of alleged sexual harassment by him when he was a journalist. He had termed the allegations as false, fabricated and deeply distressing and said he was taking appropriate legal action against them. Amid all the controversy, Joyeeta Basu, the editor of Sunday Guardian, had come out in support of the former Union minister, saying that his reputation has been “destroyed” and “damaged irreparably” due to the defamatory tweets by Priya Ramani. Basu, who had appeared as a witness to support Akbar’s case, told a Delhi court that Ramani posted all her tweets “intentionally with a purpose to harm” Akbar’s “reputation and goodwill”. “I have seen tweets by Priya Ramani dated October 10, 2018, and October 13, 2018. I have overcome my doubts but I know from the number of questions raised by people, I know personally that his reputation has been destroyed and damaged irreparably,” Basu told Additional Chief Metropolitan Magistrate Samar Vishal. “After reading these tweets by Ramani, I believe that this vilification was conducted and the tweets were published intentionally by Ramani with a purpose to harm Akbar’s good reputation and goodwill in the eyes of society,” she said. A week before, a controversy had erupted after a booklet featuring MJ Akbar, who resigned as Minister of State for External Affairs over allegations of sexual misconduct by several women, was distributed to delegates at the three-day Pravasi Bharatiya Diwas in Varanasi. The Congress had then attacked the government, questioning whether Akbar had not resigned as MoS. “Featuring the #MeToo accused as a star? Hasn’t he resigned?” Congress spokesperson Priyanka Chaturvedi had tweeted in response to a post on the booklet. Thereafter, ministry officials clarified that Akbar was not at all associated with the event and that the booklet was published in May last year, months before he quit as the MoS. The booklet highlighted achievements of the Ministry of External Affairs (MEA) in the last four years and all the ministers in the MEA featured in it.